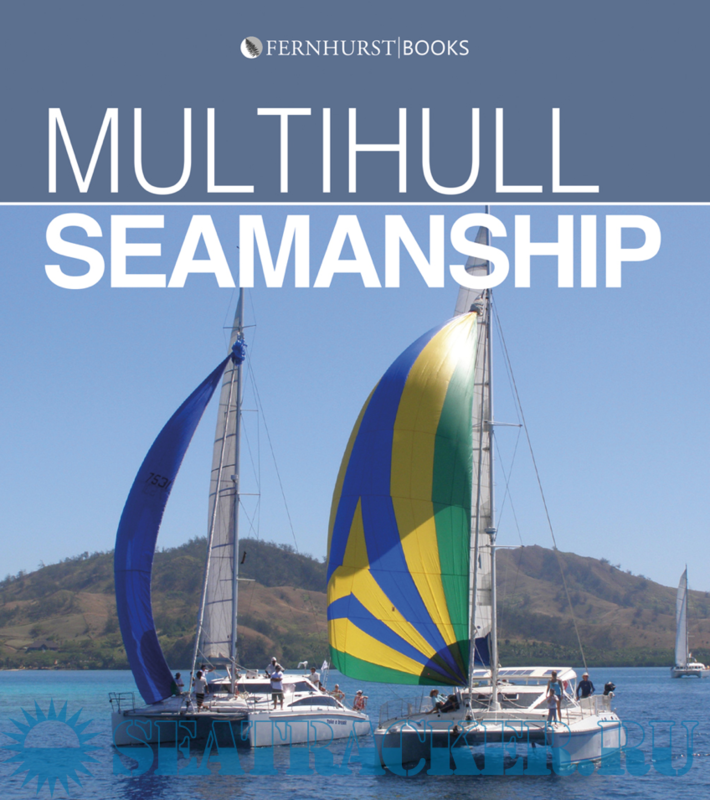 This book is for people who are, or are contemplating, multihull sailing. 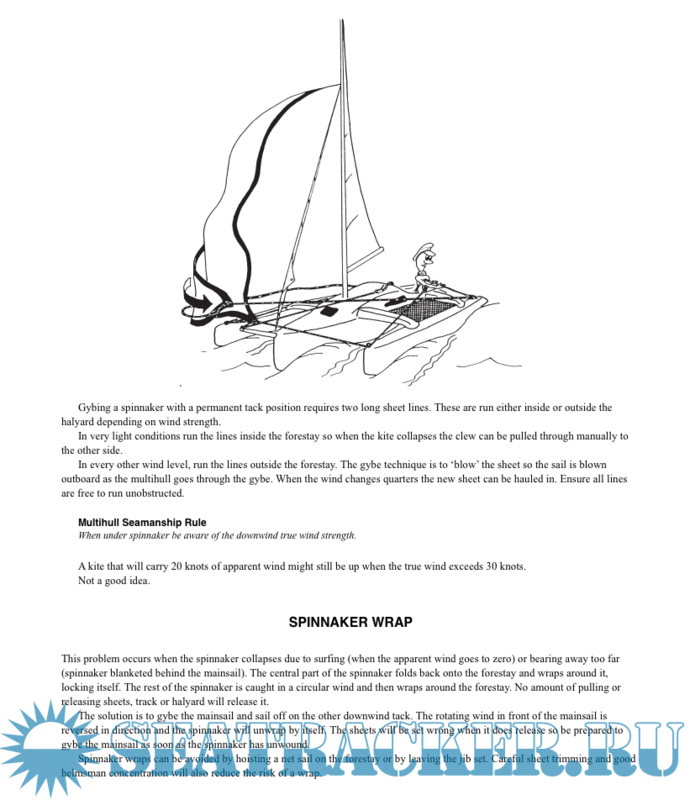 There are many textbooks on the market which detail general seamanship principles. This is not one of them. This is about catamarans and trimarans and the skills needed to enjoy and understand them to the utmost. Both racing and cruising yachts are catered for, as are trailer-able multihulls. Seamanship is not a black and white skill. It is an evolution of knowledge, a building of information through experiment, thought and experience. There is no definitive word on an evolving skill. 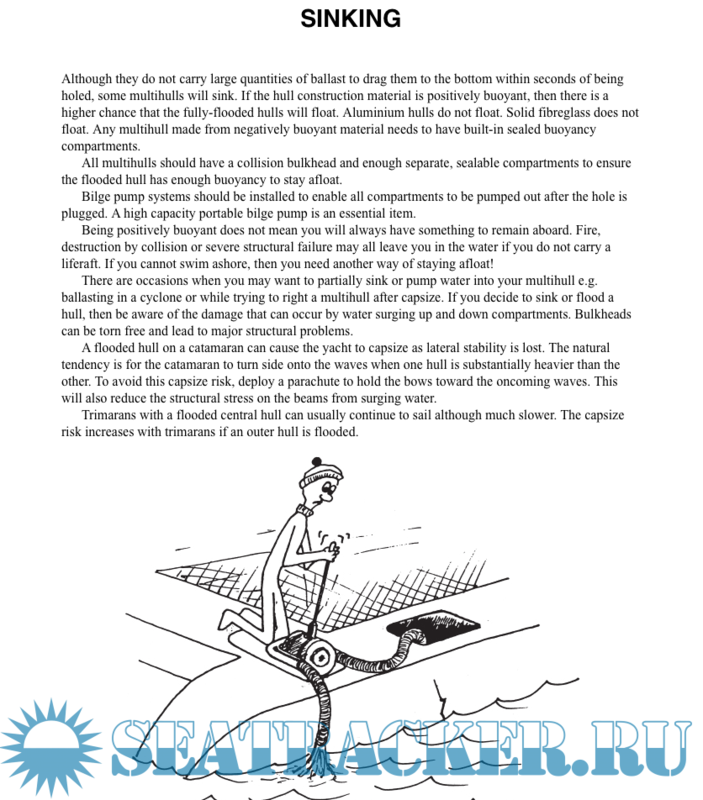 Multihull Seamanship started as my personal index of ‘how to’s. It has grown through experience and by others sharing their knowledge. It is my turn to give back some of that to my colleagues on the ocean who venture forth in hulls of two or more.